Source: I received a copy to facilitate my review. The opinons expressed here are my own. So far, life has been pretty ordinary and dull for fifteen-year-old twins Henry and Haley Miles. But after their father purchases a large estate in northwestern Idaho, they are thrilled to begin a new adventure in the mountains. Little do they know that their lives are about to change forever. 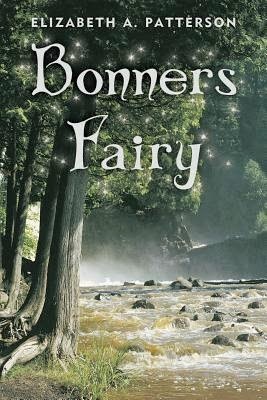 As soon as Henry and Haley are introduced to the diverse group of mysterious characters that inhabit the small town of Bonners Ferry, they learn of a tragedy hundreds of years ago that spawned the kind of legend that has always kept the locals wary and suspicious. It is not long before the twins stumble upon a map and an unusual key that leads them through a portal to another time, and a world filled with mystical creatures. As a princess pleas with the teens to rescue an innocent family from a fate worse than death, they soon uncover not only the secrets of the past, but also the mission of evil beings determined to win at all cost. In a strange world filled with magic, wonder and beauty, Henry and Haley must abandon their childlike innocence and demonstrate to everyone all the ways humans can overcome seemingly impossible odds. This is a book that old and young will like. We meet twins Hayley and Henry. Their adventure starts when they find a map and a key. The key fits a portal into another world. This was the point where I was hooked. The world building is great. It is a world you want to stay in. You have a set of fairies battling evil. Then you have characters that for the most part are believable and that you find you will like almost instantly. The fact that the story has that wonderful magical element to it makes it a book that you want to stay in. Sadly it ends leaving you hungry for what hopefully will be a second book. Since I've given my opinion on the book I will happily say I believe my middle school students will enjoy it as much as I did; especiall my fantasy lovers.